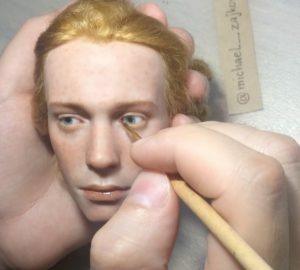 A Russian artist has become a social media sensation with his incredibly realistic dolls. If you enjoy the Joy of Painting with Bob Ross then you will love watching Michael Zajkov sculpt faces in polymer clay, delicately paint them and individually thread every hair. He seems to follow a standard technique of forming a head armature out of foil wrapped in masking tape before applying a layer of polymer clay and high-quality glass eyes from Germany. He then gradually builds up the features, smoothing every detail with a silicone tip. He paints with translucent pigments individual freckles and individual lines of the lips. Polymer clay is an easy to use medium similar to PVC that you simply bake in the oven to create beautiful works of art. 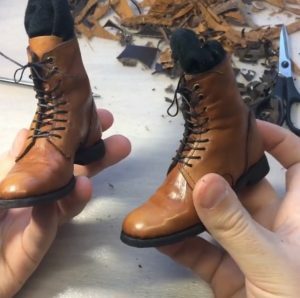 These gorgeous leather shoes are also handmade with immaculate precision. 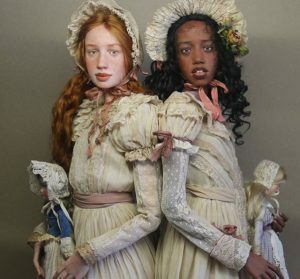 He then dresses the dolls in Victorian costumes of batiste, voile, silk including bonnets and antique French lace while the wigs are made of the highest quality French mohair. Zajkov graduated in 2009 with a major in Graphic Arts from the Kuban State University of Russia. From 2010 to 2013 he attended graduate school while working as a sculptor in puppet theater. His immense talent is still relatively young having only made his first doll in 2010. It is reported that his favourite brands of polymer clay are Fimo and Cernit. 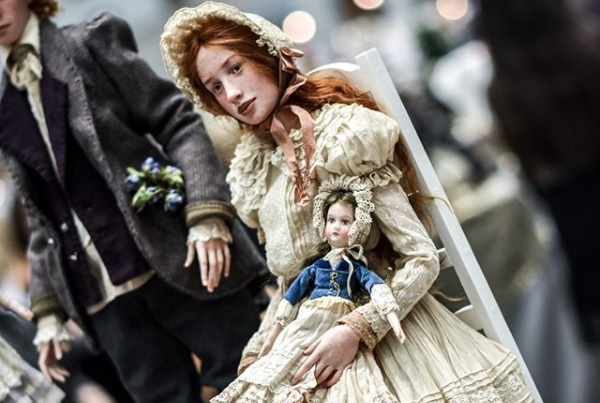 His work was first introduced to the public at the fourth international exhibition “Art Dolls” in Moscow in December 2013. 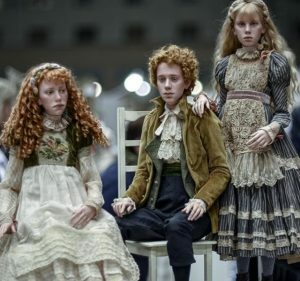 He brought to the exhibition five of his dolls – Anastasia, Antonina, Zoe, Nina, Xenia – which became a sensation. You can view Michael Zajkov’s Instagram page here and while you’re at it why not see our top Edwardian Instagrammers?